Following a divorce, alimony (also referred to as spousal support or spousal maintenance) may be awarded to the financially disadvantaged spouse. Alimony comes in several different forms. In some cases it is paid as a lump or on a short-term basis. In other cases, alimony may last for years. Long-term alimony orders are always subject to a modification. If circumstances change, alimony payments may need to be adjusted. In fact, alimony can even be terminated early when certain conditions are met. 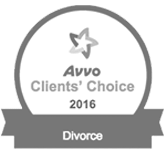 In this article, our top-rated Austin alimony attorney provides an overview of what you need to know about the modification of spousal support in Texas. To get an alimony modification in Texas, the petitioner must be able to present compelling evidence that establishes that there is good cause to change the terms of the award. Family law courts are not interested in re-litigating alimony cases. You cannot obtain an alimony modification simply because you believe that the original rule was ‘wrong’. A modification is not an appeal. This means that new evidence must be presented that proves that the circumstances have changed. A significant increase in income for the spouse who was receiving alimony. Ultimately, alimony modification cases will always be assessed on a case-by-case basis. There are many things that could potentially justify a change in the original terms of the award. For example, if the party who was making payments developed serious health problems that are now keeping them from working on a full-time basis, paying alimony may no longer be appropriate or possible. In other cases, Texas courts may rule that alimony is no longer equitable because the receiving party has vastly increased their earning potential. If you are paying alimony, you still have to continue paying even if you enter a new relationship or get remarried. However, if your former spouse gets remarried, then your obligations will be automatically terminated. As soon as your former partner gets remarried, you can stop making alimony payments. You do not need to seek a modification from the court. Your obligations are already over. Indeed, the receiving spouse has a duty to report their new marriage to their former partner in a timely manner. If you were paying alimony because you did not know about the remarriage, you may be able to get your money back. Of course, people sometimes enter new relationships without actually getting remarried. If your former partner has entered a new ‘supportive relationship’ without getting remarried, you may be able to stop paying spousal support. However, this is not automatic. You will need to go to court and prove that your ex-spouse is in a supportive relationship. Texas defines this type of relationship as one with marriage-like qualities, such as cohabiting or commingling assets. 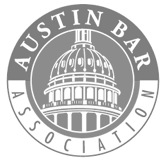 If you believe that you are entitled to stop paying alimony because your former spouse entered a new relationship, you should speak to an experienced Austin spousal support modification lawyer. Do You Have Questions About Modification of Spousal Support? We can help. At the Law Office of Ben Carrasco PLLC, our Texas family lawyers have extensive experience handling the full range of alimony cases. 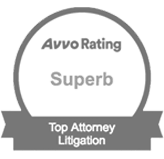 If you are seeking a modification of spousal support, please do not hesitate to contact our law firm to set up an immediate review of your case. With an office in Austin, we represent clients throughout the region, including in Georgetown, Round Rock, Bastrop, and San Marcos.